Soap mold with one cavity of 100.5g ,designed and manufactured based on technical specifications of our Customer. 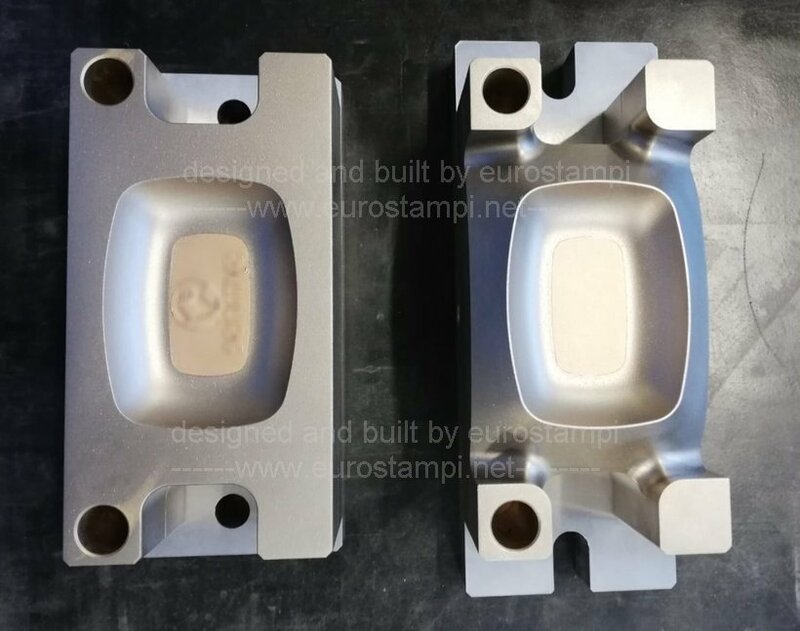 It will be used for the pre-production to define in detail the engraving design and set up of packaging machines on high-capacity production lines for new soap format for an international distribution. The die-set includes upper and lower half dies in brass alloy with niflon coating to improve the soap detachment, they are equipped with ejectors bearing the engraving and interchangeable. Complete the set: rectified stainless steel plates with holes for fixing to the pneumatic printer and dowel pins.